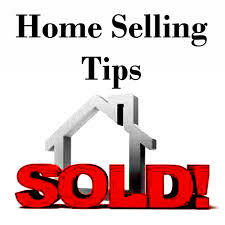 With home selling season in high gear, it is important to understand sensible tips for home sellers, so you can put your best foot forward when selling your home. Even if you are not currently preparing to sell your home, understanding tips for home sellers is important information to keep in mind as you renovate your home, so you make the right renovation decisions from a home selling point of view. The bottom line is that the things you do to improve your home could make it much easier to sell it. These are not necessarily expensive updates, just sensible changes that make a big impact on prospective home buyers. First off, put yourself in a home buyer’s shoes. As a buyer, what would you be expecting to see when you pull up to your home and when you are inside taking a look? To make this task easier, think back to when you purchased your home. What were your first impressions and what did you think was missing or needed updating. This is an excellent place to start when thinking about how to put your home up for sale. If you have already addressed the shortcomings that you found when you first considered buying your home, then great, if not, then it is time to put a plan of action together to get your house up to the standards that you and future buyers expect. Curb appeal is very important. It might sound crazy, but some prospective buyers drive up to a home, take a look from the outside and drive away, if they do not like what they see from the curb. These buyers do not even take the time to see what the home looks like on the inside. 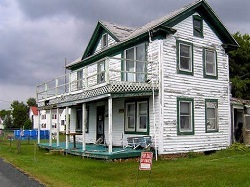 They just assume that if the outside looks disheveled, then the inside must not be much better. Of course, this is not always the case, but as a seller, you do not want to scare potential home buyers away by presenting a home that does not show well from the outside. 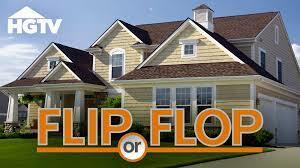 The great news about improving a home’s curb appeal is that it is not necessarily a large or expensive undertaking. Just an afternoon of landscaping, such as removing any dead plants, mowing the lawn, replanting and mulching, can make a big difference. While you are at it, mow the lawn in the back yard and spruce it up for buyers that actually come in to take a look out back. On the front exterior of the home, there are a few key areas to focus on. The front entrance area should be repainted, if necessary and generally improved by removing any clutter and adding a few flower pots or other inviting decorations. If a garage door faces the street, painting or replacing it can make a big difference when it comes to curb appeal. Finally, if the paint on the front exterior is flaking or if there are any signs of visible damage to the home, such as a damaged roof gutter or damaged roof tiles, have them repaired before you put your home on the market. 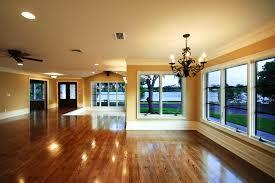 Once prospective home buyers are inside your home, you want to make sure that it is inviting and appeals to them. 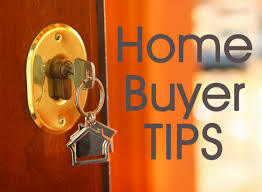 Some of the tips for home sellers in this regard are rather easy and inexpensive, while others take some time to implement and may incur a considerable cost. Just keep in mind that if you want to get top dollar for your home, you have to put your best foot forward and show a home that appeals to buyers. If you find the right buyer, your efforts may pay off. Some of the easier and less expensive interior improvements include removing clutter and as many personal items as possible. Removal of clutter will make your home appear larger on the inside. Do not forget to also remove clutter from closets and kitchen cabinets in your home, so prospective buyers do not have unexpected surprises when they open a cabinet or a door, and can easily see how much storage space is available. Limiting how many personal items you have in your home will help buyers visualize themselves living there. As potential buyers tour your home, you want them to be able to imagine where they could place their things. 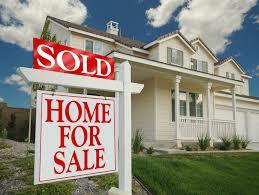 Find a reputable local real estate agent who has a good track record regarding selling homes in your area. Unless you live in an area that has an extremely hot real estate market or just want to try to sell your home on your own, using a local real estate agent can provide you a great advantage when trying to sell your home quickly and for the best price possible. Someone who knows your area and knows a lot of local agents can ensure that the people who come to view your home are ones that are truly interested in buying it. A local real estate agent will know the ins and outs of how real estate works in your area and will be able to get local realtors to come to a realtor open house, which showcases your home to other realtors in the area. One of the most important tips for home sellers is to make sure you get your listing right. Although realtors can bring in a lot of solid prospective buyers to see your home, many buyers will find your home on their own by searching through online listings. Make sure you have a good description of your home that includes keywords that buyers are looking for and local amenities that buyers will find attractive. For example, open floor plans are very popular these days. If your house features an open kitchen, then make sure you list as such. If you have a new furnace or a fenced in yard, make sure buyers know this. If a bus or train station is within walking distance, make sure you include that in your listing. If you have a park a block away, let prospective buyers know. You just never know what buyers may be looking for. The more you highlight the features in and around your home, the better chance you will find prospective home buyers that are ready to make an offer to buy your home. 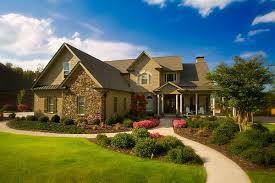 The future of the housing market is uncertain at best due to the lag in recovery being felt by all in the U.S. Experts are convinced that the housing market is on the rise, as interest rates have started to rise. Many are still not convinced due to the lack of first time buyers purchasing homes due to the economy and overall cost which has in turn stagnated the older generation’s ability to sell or get out from under the burden of their homes. The housing recovery has seemingly turned into anything but a recovery for all involved. The housing market has become as unstable for first time buyers as the job market has become. Many are distrusting of banks and mortgage companies that are requiring first time buyers put down a minimum of 15 to 20 percent of the homes total value. This higher down payment has cause many would be early first time buyers to hold off on buying property than those in the same age bracket of the previous generation. The rickety job market and uncertainty of long term employment has given a rise to a decrease in home purchasing leading to a 14 year low and an increase in renting. In response to this new trend, even developers are on par to meet the rising demand of apartment construction. The need for mobility is becoming the theme for first time buyers, whom are more willing to move around and follow jobs from place to place than the previously more established older generation. Those who can afford to purchase either follow one of two routes. The first being that more and more younger buyers are holding off on buying because the incentives of a weak housing market, high property taxes, and steep restrictions by mortgage companies and banks. The second trend for first time buyer who can afford to purchase homes and are buying them, are looking for more newer construction over older homes. The reasons as polled by independent studies have found that younger buyers are looking at newer constructed homes due to the lower costs of repairs and maintenance in comparison to the older homes. If anything can be said about the younger generation, the 18-30s working generation, is that they have learned from the crisis that they’ve witnessed the older generation deal with. Many who are in their early working years have noticed and are reacting to the housing bubble explosion as well as the volatile job market. Unlike the previous generation, the current younger generation is either renting more or living with their parents longer which has become more of financially responsible decision for them. The cost of living is constantly rising and with it also comes the rising cost of homes in the country. This rise in overall costs is skyrocketing out of the control and affordability of the younger generation already plagued by mounting student loan debt. The difference between those currently in their 20’s and 30’s have seen the cost of college rise over 600% than the cost see by their parents. The standard salary that may have been available to entry level in past years is becoming hard to find as entry level expectations change. More employers are cutting jobs despite reports of increased employment figures. More minimum wage jobs have been added and not the mid range to higher salaries that are needed to help support the housing recovery. Many entry level jobs across the country are calling for 3 to 5 years experience and paying between $35,000 and $50,000 per year with limited health benefits. The weak economy is essentially strangling the younger generation’s ability to move out and purchase homes. The impact of the lack of a housing recovery has not only affected those looking to purchase for the first time, but those who are looking to sell their homes. The desire for newer construction has definitely taken a toll on the older generation because of the younger generation that can afford to purchase, tends to overlook more established homes as previously stated. Maintenance costs, updating costs, and over all home values versus perceived home value is al mounting against the older generation. Much of the remaining Baby Boomers and the subsequent generation are struggling to unload their homes unto the younger generation and are feeling the heightening financial burden which has contributed to a lag in the housing recovery. The true cost of this financial interruption cannot be accurately measured this year, but will produce results for next year pending there isn’t an implosion in the housing market driving rates down again. 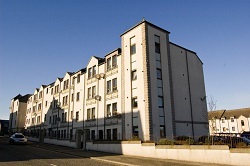 The housing recovery or seemingly lack thereof, has been and remains a massive issue for all generations an working bodies connected to it. The weakened economy and hard financial lessons learned by all have impacted those looking to enter the housing market and those looking to exit. Only time can tell how much recovery the American home owner will see in the coming months. Is Land Still A Safe Investment? Land has always been a god investment. One of the most influential quotes I heard in my youth, talked about how we could make anything except more land. So as the world population continues to rise and the economy remain shaky at best, the question about land remains. Is land still a safe investment? Or has land as an investment been outplayed by the underlying costs of a bad and faltering economy? Can you invest in land safely or are you playing a fools game? Investing in land isn’t a bad idea. In fact it can be a great idea when you are educated in what to look for and the types of land available. Just as you would do research before investing in any company stock, the same tenacity should be applied when looking to buy land. And it is important to understand the terminology as well, because by investing in land doesn’t just restrict your investment to land, but to the property and buildings attached. With that aside, diving into buying up property based on outdated advice is a very, very bad idea. While the quote above about land is true, what it fails to take into consideration is location, cost, and market inflation. I had a friend of my family that invested in buying up 10 acres of land is south east Florida. 10 acres, all connected to each other, and only about a block from the beach. He bought it before the housing market collapsed and held onto it all for the last couple of years having a hard time unloading it. He ended up selling all 10 acres for less than $1,000 dollars per acre. His unfortunate invest has taught me a valuable lesson, research town development when buying or investing in land. If you conduct your research and see the tell tale signs of economic development being slowly introduced into an area, then your investment will pay off. Signs of economic development would be a major highway system either being rerouted through the area or being built running through it. Are there medical treatment centers, pharmacies and banks popping up or already under construction? All of these signs are great leads to look for when thinking about investing in property because it shows a possible investor that the town will be pouring money into development. Your key to success when buying land is understanding how to turn a profit on your investment. So just as you are looking for a stable yet growing stock to invest your money in, the same applies to land. If the area around your investment is modernizing and being built up and better funded, you are more likely to be able to turn a profit on your initial investment. Once upon a time, the key to turning a profit on a land investment was by buying up undeveloped property with the hope that a builder or contractor would come along and buy out your land. And that still may be the case, but location is key. By understanding what to look for as far as township or county plans for modernizing, you can give yourself a leg up before spending money. A successful investor is the one who researches before a sale, not one who pours money into an investment after the purchase is made. The cost of the economy has definitely taken its toll on those who invest in land and those who currently have land investments already. The biggest issue when it comes to investing money in land, is that when it comes to selling the land, that process can take time. With stocks, if you want to sell them, regardless of price, you can sell them almost instantly. Land however, takes time. The only difference is that you can tie up money in land and sell it off when the market and demand shifts upwards. But with the economy and the job market shaky at best, the once surplus in spending cash has made land sales difficult at best. This economy has left many people land rich and cash poor, unable to pay their bills and mortgages (yes you can mortgage land in some states too). Depending on who you ask, will give you a difference in opinion. 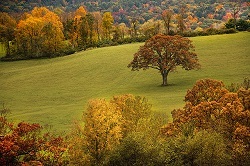 Investing in land may not be the most sound investment if you are looking to turn a quick profit. However, if you are looking at a long term profit with the ability to gain a residual income by developing the land purchased, then investing in land may be for you. Categorizing land as a safe investment would be dependent on who you ask, but the research you put in prior to the sale would give you the best chance to invest safely to begin with. Posted in Alternative Investments, Real EstateComments Off on Is Land Still A Safe Investment? With tens of millions of baby boomers set to retire over the next two decades, many are wondering what a reverse mortgage is and how it figures into their retirement savings plan. Some people approaching retirement age or already in their retirement years do not consider unlocking the equity in their home via a reverse mortgage, because they do not understand how a reverse mortgage works. Of course, a reverse mortgage is not right for every retiree or for every situation, but it is important to learn about reverse mortgages to understand the full range of income options during retirement. Seniors that have a lot of equity in their home, but do not have a lot of monthly income, may want to consider a reverse mortgage to provide them needed monthly income, while being able to stay in the home that provides them shelter and comfort. A reverse mortgage is essentially a loan by a financial services company to the owner of a home that is secured by the equity a homeowner has in their home. 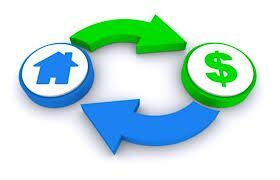 A reverse mortgage can be received either as a lump sum or via set monthly payments. The money paid is not subject to income taxes since it is a loan that is eventually paid back when the home is sold, and is not earned income. Receiving a lump sum or monthly reverse mortgage payment does not affect Social Security or Medicare benefits. Depending upon the type of reverse mortgage, the money either has to be used for a specific purpose, such as paying property taxes, or can be used for just about anything, depending upon the type of reverse mortgage. A reverse mortgage can provide a practical way to remain in one’s home during retirement, while generating needed retirement income. A homeowner does not sign over the deed to their home to the financial services company that provides a reverse mortgage. The retiree retains ownership of their property. The financial services company that provides a lump sum payment or monthly income via a reverse mortgage recoups their investment via fees and reimbursement for the loan’s principal amount at a later date, when the home is eventually sold. The principal amount of a loan is the original amount that is lent. If a retiree moves or passes away, they or their estate must repay the principal amount of the reverse mortgage to the financial services company to close the loan. To be able to take advantage of a reverse mortgage to provide extra income during your retirement years, you and your spouse (if applicable) must be 62 years old or older, and you must either own your home outright or have enough equity built up in your home to be able to repay the reverse mortgage principal to the lender, if it is necessary to do so. Additionally, you need to plan on living in your home as your primary residence during the time in which the reverse mortgage is in effect. Since there are numerous up-front fees that must be paid to establish a reverse mortgage, you should plan on being in your home for a number of years to make the arrangement cost-effective. If you are planning on selling your home and moving elsewhere for retirement, then a reverse mortgage does not make sense for your current home. However, a reverse mortgage may make sense for your new home, if it is going to be your primary residence during your retirement years. Anyone considering purchasing a reverse mortgage and wants to know how a reverse mortgage works needs to understand the three types of reverse mortgages that are offered. A Single-Purpose Reverse Mortgage is a reverse mortgage loan that is provided to cover a single expense, such as payment of property taxes or replacement of a heating, ventilation, and air conditioning (HVAC) system. This type of reverse mortgage is set up to assist low-income homeowners in need of assistance and can be provided by either a private financial institution, a nonprofit group, or a government entity. 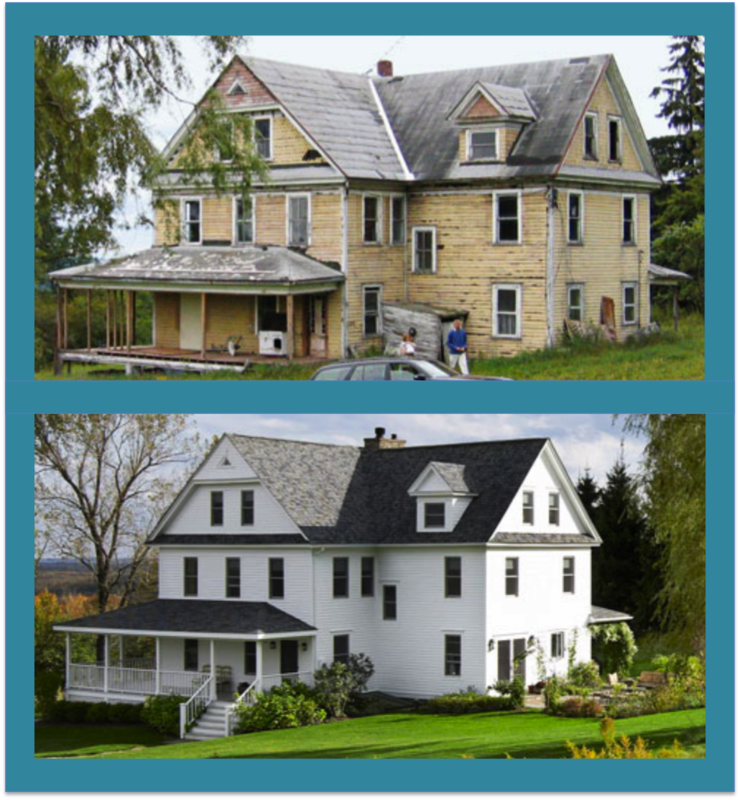 As the name implies, the funds are limited to a single purpose, such as home renovation or property taxes. This type of reverse mortgage usually has lower upfront fees than other types of reverse mortgages. 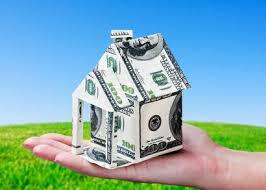 A Proprietary Reverse Mortgage is a reverse mortgage loan that a private company arranges and owns. 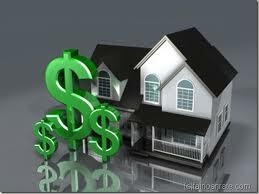 Qualification for this type of mortgage is easier than other types of reverse mortgages. However, the ease of qualification comes at a cost; including sizable upfront fees that are paid when the loan is made and a monthly service fee, if the money is received via a monthly payment. A Home Equity Conversion Mortgage (HECM) is a reverse mortgage loan that is insured by the Federal Housing Administration (FHA). While qualifications for this type of loan can be more complicated than other reverse mortgages, a HECM comes with a guarantee from the federal government to provide the payments associated with the loan. There are some considerations and risks that must be understood to fully understand how a reverse mortgage works. Upfront reverse mortgage loan fees paid from a home’s equity reduces the amount of equity you have in your home and the amount of cash paid from the reverse mortgage loan. If you do not maintain your home in good standing with local taxing authorities and in regards to upkeep, the lender who holds the reverse mortgage loan may have the right to take possession of your home to protect their investment. 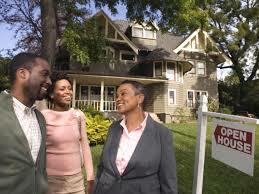 Mortgage insurance is necessary to insure the lender against losses. Lenders can require full repayment of a reverse mortgage loan, if you are not living in the home, even if it is due to a prolonged hospitalization or stay in a rehabilitation facility or nursing home. If a reverse mortgage is not an appealing option, consider other ways to unlock the equity you have built up in your home over a lifetime of paying off a mortgage. 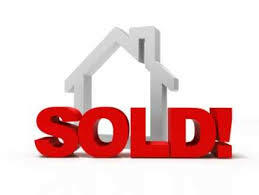 If you can sell your home for a decent amount of money, consider selling your home and either downsizing to a smaller less expensive home in your area, or move to an area that has cheaper home prices. You can then invest the net money you receive from the sale of your home in a safe dividend paying security or an annuity to provide periodic income to supplement retirement income.